Abora Recordings has been putting out quality trance since 2004. It all began with the first vinyl release of Icone - Sorrow. It specialized in orchestral uplifting trance, balearic and progressive trance, chillout music, and classical music and film scores. 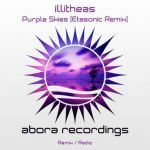 It launched its first sublabel—Abora Chillout, which focused exclusively on relaxed or even sleepy chillout music—at the end of 2012, leaving the main label to focus more on the trance side. Abora releases may be found in all major download stores. Select releases are available on CD. Jericho Frequency feat. Emma Chatt - Do You See Me?